“Fearless Girl” modifies the message of “Charging Bull”… but how? There are two statues on Wall Street that have been getting considerable discussion lately. Since 1989, Arturo Di Modica’s “Charging Bull” has stood in the Wall Street district, a “symbol of virility and courage” and “determination and hard work” meant to “celebrate the can-do spirit of America” (quotes from his website). In March of 2017, a second statue called “Fearless Girl” was installed near Charging Bull. It is not at all questionable that this new statue was a direct response to “Charging Bull.” Without “Charging Bull,” she would be meaningless. Di Modica has complained that “Fearless Girl” changes the meaning of “Charging Bull” in a way that violates his copyright. This is a legal issue that I won’t address here. Instead, I will focus on each work’s meaning. From the artistic and sociopolitical perspectives, this juxtaposition and the ensuing discussion have been fascinating. Let’s look first at “Charging Bull” in isolation, as it was for nearly thirty years. Di Modica has stated that the statue represents the can-do spirit of America. Especially in the context of the last year, that stirs up the notion of what makes America great. It is clear what makes America great for Di Modica: Capitalism. He did not choose the eagle, a traditional symbol for America’s courage. He chose the bull—the symbol of a healthy financial market—and installed it on Wall Street. This is the artist’s message. 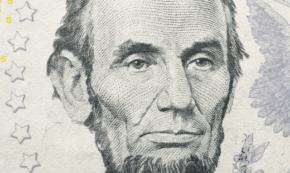 America’s capitalism has long been dominated by white males. Historically, there has been little place for women or people of color; for instance, while Edison is credited with perfecting the light bulb, it was Lewis Latimer, a black man, who developed the carbon filament… while working for Edison. 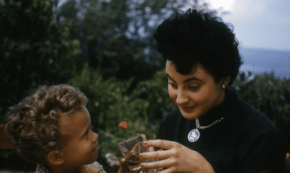 Gender inequalities have been strong enough to create a sexist term for female workers (“pink collar”), the basis of the 1980 comedy “9 to 5.” Despite strides in gender equality over the last decades, the chipped glass ceiling persists. For America, capitalism is a manly pursuit, and for Di Modica, American’s greatness is in its capitalism. Along comes “Fearless Girl,” standing up to the bull, both literally and figuratively. Some are poisoning the well by pointing out that “Fearless Girl,” herself is an advertisement for SHE, a State Street fund that supports corporations with high-ranking females. That’s a truthful claim, but I don’t think it need affect the greater interpretation of the piece in juxtaposition with the bull. But that reality undermines Di Modica’s claim that “Fearless Girl” makes his sculpture menacing. If people—in particular, those most negatively impacted by unfettered capitalism—weren’t already nervous around the bull, the girl would be meaningless. Imagine “Fearless Girl” standing in front of Rodin’s “The Thinker,” for instance. She wouldn’t look bold, she would look annoyed and impatient. Or “Fearless Girl” in front of Detroit’s “The Spirit of Detroit”: She would look peevish. Her defiance doesn’t create the bull’s aggression; her defiance derives from it. But is she a good icon? There are two details to unpack here. First is the point that “Fearless Girl” is a child, not an adult—a woman. Both of these articles note that there is some sort of aspect of future optimism intended by the artist, but “girl power” in the absence of “woman power” is meaningless. The other reminds me of the recent meme involving Elizabeth Warren: “Nevertheless, she persisted.” Yes, it is wonderful that Warren stood up to Mitch McConnell’s aggressive rhetoric; yes, it represented excellent role modeling for other women in that position. At the same time, it is shameful that McConnell supports a misogynistic environment that requires women to have to persist and resist, such as Warren and “Fearless Girl”. Why should women have to “persist” when men, doing the same thing, are simply being powerful men? To a certain extent, “Fearless Girl” supports the narrative of the meritocracy: She and Warren will succeed through their own grit, regardless of the unfairness of the situation. This is not to fault the “Fearless Girl” or her real-world analogs. But here’s a cold reality: If that were a real, enraged bull and a real, fearless girl, no amount of grit and defiance would stop her from getting gored. Fixed visual art is necessarily limited in how robust its message can be. There is much left to interpretation, and different audiences will interpret work differently. Nonetheless, both “Charging Bull” and “Fearless Girl” are lacking in crucial aspects of their messages. “Charging Bull” was meant to represent the resiliency of the American spirit, but it more viscerally communicates the aggression of American greed. “Fearless Girl” was meant to encourage the increased presence of female contributions to corporate society, but it panders to the notion that females are still seen like children. And if “Fearless Girl” represents women in this diorama, how are men represented? Di Arturo has a point about “Fearless Girl” changing the meaning of his work, although I don’t think it’s as radical as he insists. Defenders of “Fearless Girl” have a point, although at this point her meaning is inextricably locked with the bull’s, so moving her wouldn’t likely change that. More importantly, we need to continue the dialogue embedded in this diorama: Fair or not, the presence of “Fearless Girl” in front of “Charging Bull” has given voice to important cultural concerns. *Payment is by PayPal. Your membership begins when you receive the welcome email and click the link to return back to The Good Men Project. You do not need a PayPal account to pay using PayPal. 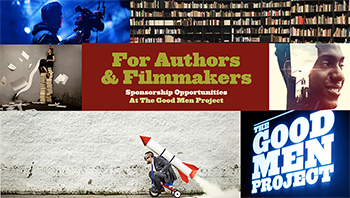 **If you are already a writer or contributor at The Good Men Project, log in here before registering. (You can request a new password if needed at this stage). 1. Free and UNLIMITED ACCESS to participate in ANY of our new Social Interest Groups. < 2. Free and UNLIMITED ACCESS to ANY of our live classes, calls and other exclusive content. 3. 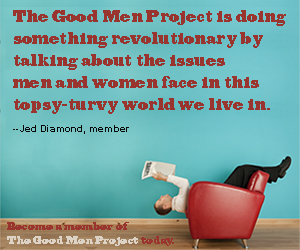 Invitation to the MEMBERS ONLY Good Men Project Community on Facebook. 4. 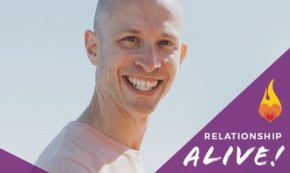 An ad-free experience on The Good Men Project website! 5. Weekly conference calls with the publisher and other community members. Our weekly calls discuss the issues we see happening in the world of men in a friendly group setting. 6. A listing on our “Friends of The Good Men Project” page. 7. PLATINUM member commenting badge. ANNUAL PLATINUM members will also receive a FREE copy of The Good Men Project anthology E-Book. 1. Free access to participate in any ONE Special Interest Group. 2. Free access to any ONE of our live classes. 3. 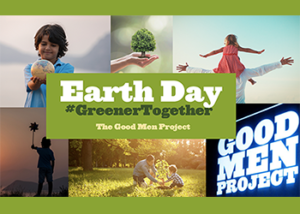 Invitation to the MEMBER-ONLY Good Men Project Community on Facebook and weekly conference calls with the publisher and community. 4.A listing on our “Friends of The Good Men Project” page. Price for ANNUAL GOLD membership is $20/year. If you want additional exclusive access to our trainings, classes and live events, choose the Platinum or Gold level above. 2. A listing on our Friends of The Good Men Project page. – Lisa Hickey, Publisher of The Good Men Project and CEO of Good Men Media Inc. I just don’t think I agree with either of those interpretations; and without that as the foundation, it is difficult to validate the connotations and subsequent conclusions. What if the defiance is contrived or projected and not inherent? What if the aggression, greed, and belligerence is projected, not inherent or essential? In your rush to assume that anyone defending a feminist perspective is slamming men, you missed a subtle implication: The men are the bull. 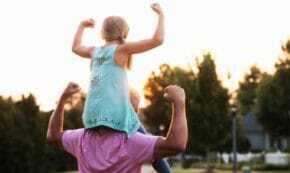 Women are seen as innocent girls defending themselves against an unfair onslaught, and men are seen as atavistic attackers devoid of higher reasoning. So, before you whine next time, make sure you’re not missing the opportunity for a more visceral criticism. In your rush to assume that anyone defending a feminist perspective is slamming men, you missed a subtle implication: The men are the bull. And in your rush to turn this into an argument over labels you seem to have missed the rest of my comment. This isn’t about visceral criticism this is about accurate representation of the situation and taking criticisms into proper context. Let me know when or if you decide to address the criticisms I gave.